For 40 years, the General Social Survey has cultivated a vast body of knowledge about Americans' personal attitudes and opinions. A record number of donors contributed $459 million in new gifts and pledges to the University in fiscal year 2013. Kimberly Peirce, AB'90, revives the pop culture classic. David M. Rubenstein, JD'73, extends his program to provide full-tuition scholarships to law students. A gift from Daniel L. Doctoroff, JD'84, and his wife Alisa, MBA'83, will establish a business leadership program in the Law School. 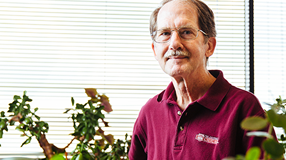 The family of George Stephen Sr. will fund a professorship and research into treatments for early-childhood illness and premature newborns. UChicago Medicine's Dana Suskind turns research into a social movement with the message that talking to children is essential to their intellectual development. Obama, NSA, and the "pathetic"
Pulitzer Prize winner Seymour Hersh, AB'58, lashes out at timid journalism but tells students that there is hope for the profession's redemption. UCLA physicist David Saltzberg, SM'91, PhD'94, makes sure the sitcom's equations add up and that "perturbative amplitudes" have their proper place. An a capella exploration of string theory with a nod to Queen and UChicago Nobel laureate Yoichiro Nambu. 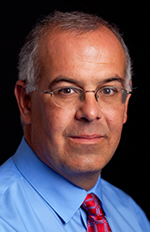 New York Times columnist David Brooks, AB'83, talks about his best campus memories, his relationship with President Obama, and Harold's Chicken Shack. Did you meet anyone famous while you were in the College? 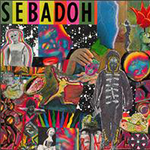 Perhaps you had tea with the Shah of Iran, or Sebadoh slept on your floor, or your roommate grew up to be a household name. Send your story of your brush with fame to uchicago-magazine@uchicago.edu.